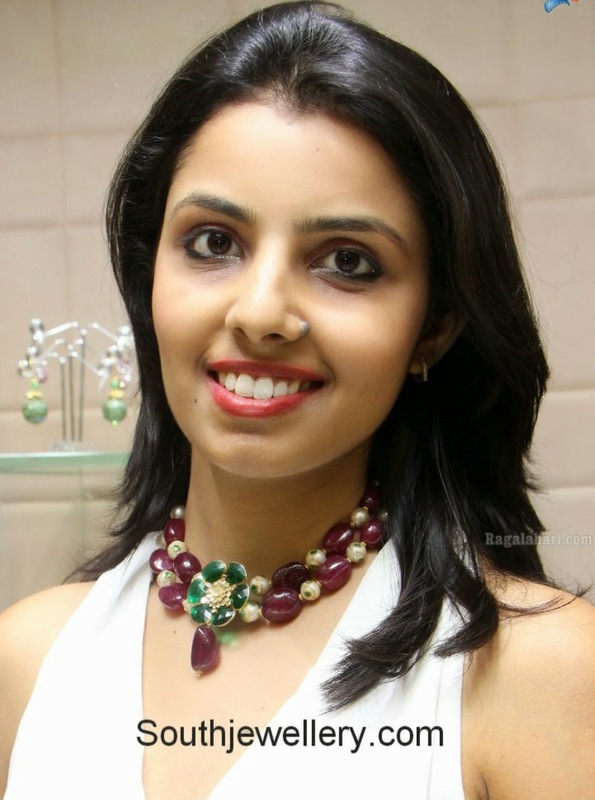 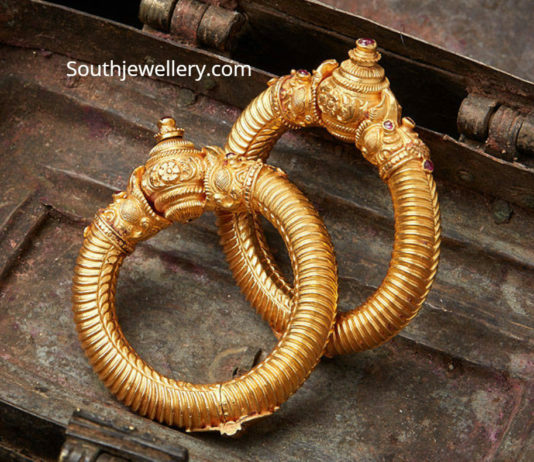 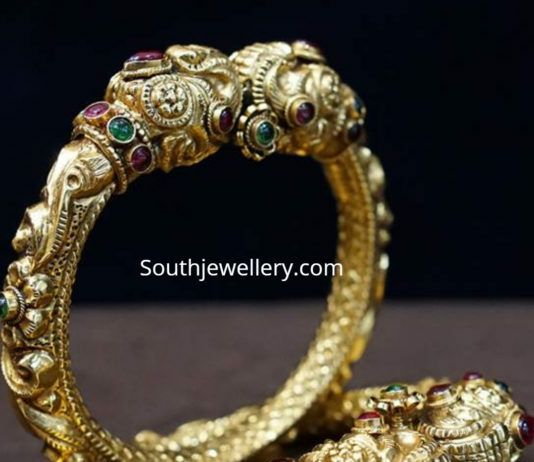 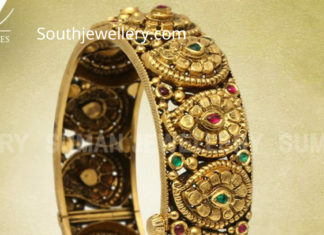 22 Carat gold antique bangle studded with rubies and emeralds by Suman jewellery. 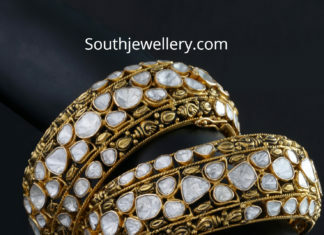 22 Carat gold antique finish broad bangles studded with polki dimonds by Kalasha Fine Jewels, Hyderabad. 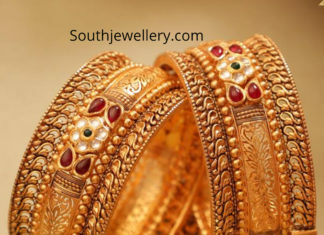 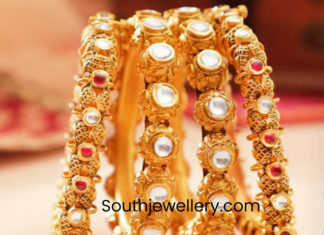 22 Carat gold antique finish bangles adorned with pearls and ruby beads. 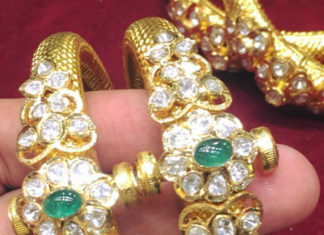 22 Carat gold antique finish kundan bangles set by FCBL Jewellers. 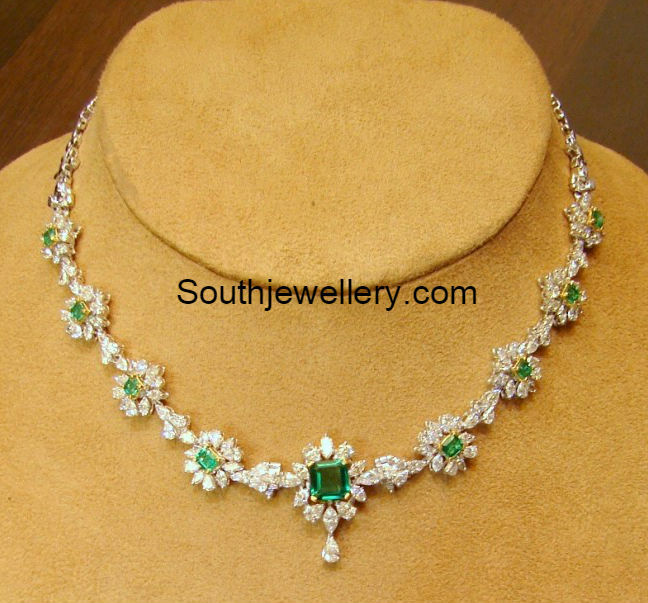 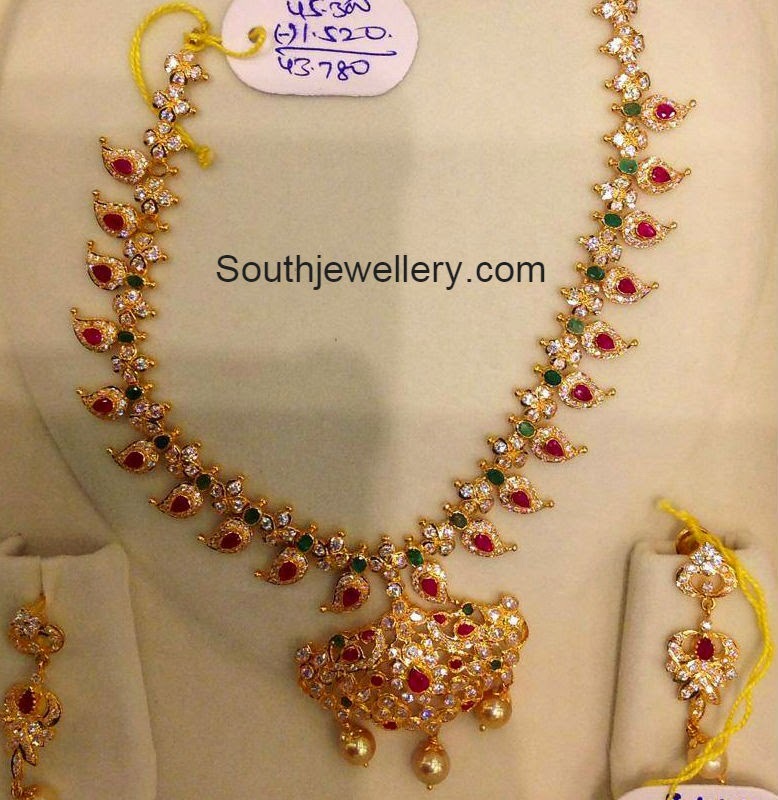 22 Carat gold antique finish kadas studded with polki diamonds and emeralds.